The UNESCO world herritage Vega is an arcipelago consisting of 6500 small islands and skerries just south of the Polar Circle. More than 230 species are recorded on the islands. White-billed Diver, King Eider, Willow and Rock Ptarmigan, Black grouse, White-tailed and Golden Eagle, Arctic Skua and Eagle Owl can all be expected just to mention a few. Vega is an archipelago off the coast of Helgeland, consisting of the 127 squarekilometer main island and 6500 smaller islands and skerries. Vega is reckoned as a core area in Norway for Graylag Goose and it also support the largest colony in Europe of Cormorant of the nominate race carbo. Eagle Owl breed as well as both White-tailed and Golden Eagle. The archipelago is very important for moulting, resting and wintering seaducks, and also for auks. Vega was in 2004 put on the UNESCO World Herritage List, mainly based on the thousand-year old, now unique, practice of Common Eider down harvesting. You still get to buy expensive eiderdown products such as pillows from the few down harvesters still active. The population of Eider actually declined when the industrial-scale eiderdown harvesting stopped. Now, only a few hundred pairs of eiders breed, although as many as 12000 moulting Eiders have been counted during summer the recent years, and up to 31.000 during winter. Hundreds of King Eider can winter in Vega as well, mainly in deeper waters than Common Eider. 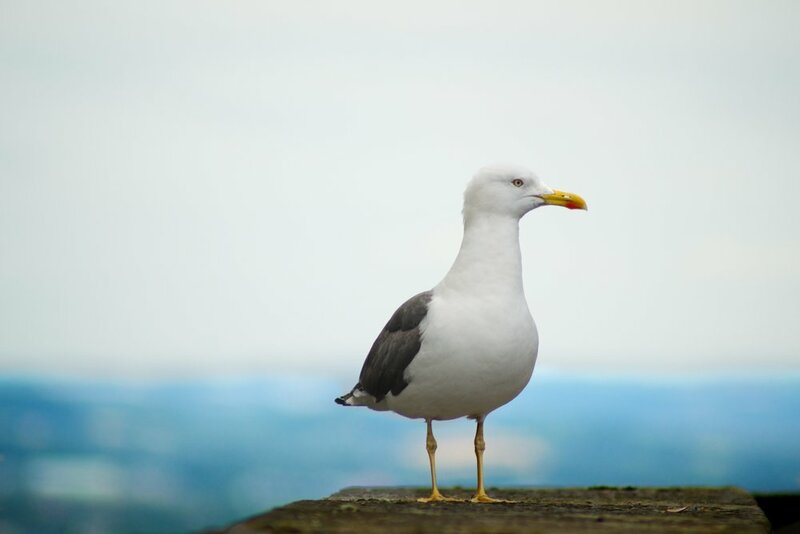 Lesser Black-backed Gull of the northern race fuscus breeds here, although its population has declined from about 500 pairs in 1977 to less than 10 pairs today. Curlew is also a very common breeding bird all over the island, and its beautyful song can be heard almost anywhere. More than 230 species of birds are found on Vega. There are several interesting birdwatching sites on the main island, particulary for wetland species. A few pairs Red-throated Diver and Shoveler breed regulary in the lakes, and Black grouse, Willow Grouse and Rock ptarmigan all breed common on the island. Vega is also an important stopover site for migrants. Large numbers of Barnacle Geese arrive around April 20thand stay here until late May. Black-tailed Godwit is seen almost every year, and Red-necked Phalarope andSpotted Redshank are common in late July and August. The Eidemsliene slopes are covered in deciduous woodland and coastal pine forest where Grey-headed Woodpecker use to breed. Vega is also good for rare birds during migration. Rose-colared Starling, Barred Warbler, Blue-winged Teal, Pallid harrier, Yellow-browed Warbler, Richard`s Pipit and Red-breasted Goose are all confirming the islands potential as a rarity spot.